Tom Arth is leaving UTC to become the football coach at Akron. Updated at 6:05 p.m. on Dec. 14, 2018. 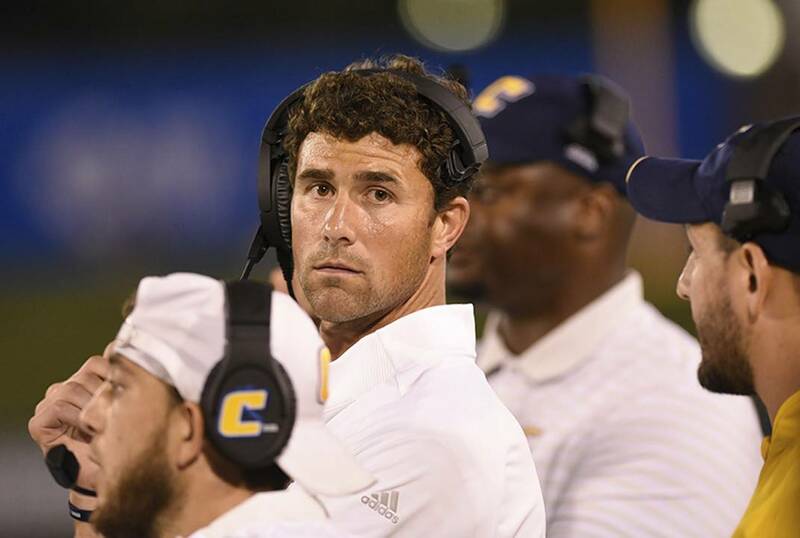 University of Tennessee at Chattanooga football coach Tom Arth has agreed to take the same position at the University of Akron. Sources told the Times Free Press of Arth's impending departure Friday, and Akron later posted a release on its official athletic website saying Arth had been named the Zips' head coach, pending approval by the university's board of trustees. That job became open on Dec. 2, when Terry Bowden was dismissed after seven seasons at the school. Bowden led the program to two bowl bids and the 2017 Mid-American Conference East Division championship but was 35-52 overall with the Zips. He was 9-13 in two seasons at UTC. His tenure at John Carroll was highlighted by a win over Division III powerhouse Mount Union, ending the latter's 112-game regular-season winning streak. Arth went 3-8 during his first season at UTC, which was highlighted by a 23-21 road win over then-No. 8 Samford, sparking a string of six wins in a seven-game span that bled into the 2018 season. The Mocs started Arth's final season 4-0, with the fourth win also against the Bulldogs and pushing the Mocs into the Football Championship Subdivision top 25 rankings the following week. They struggled down the stretch, with two wins over their final six games. The Mocs finished 6-5 overall and 4-4 in the Southern Conference despite outscoring their opposition for the season. Offensive inefficiency was the root cause of the team's struggles in both seasons under Arth, with the Mocs ranking near the bottom of the SoCon in that regard while ranking near the top in most defensive categories. UTC was 25th in the country in total defense in 2017 and currently ranks 15th in points allowed at an average of 21 points per game. The Mocs ran the same amount of plays in 2018 as they did in 2017 (702), but gained 850 more yards in 2018 and had five more touchdowns. They ranked 91st in the country in total offense this season and failed to reach 30 points in seven of their final eight games. The terms of Arth's contract state that because he's leaving prior to Dec. 31 of this year, he owes UTC two times his base salary of $185,000. This is developing coverage. For more, check back later and read Saturday's Times Free Press.